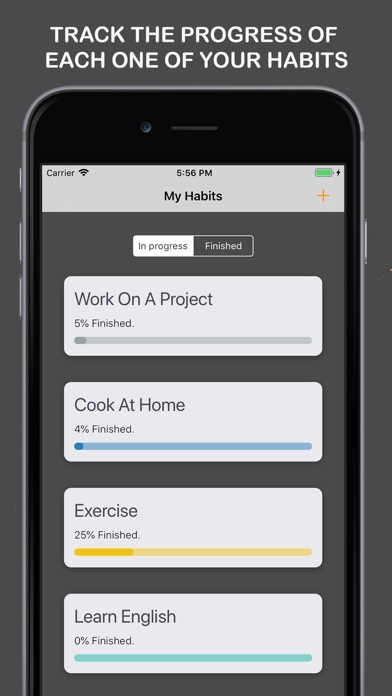 Routines Pro - Habit Tracker is a productivity app that helps you build healthy daily habits and improve your life!. Set personal goals, track your progress, and motivate yourself to achieve new heights! 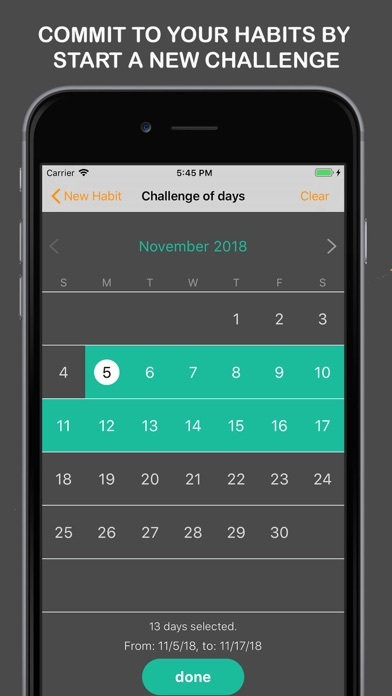 You can add and track as many habits as you need, and commit to each habit by setting a challenge of days to be finished, Build good habits, break bad habits and achieve greatness! Many fantastic skills take at least a few months before you can achieve great results: learning an instrument, getting back in shape, learn a new language, etc. 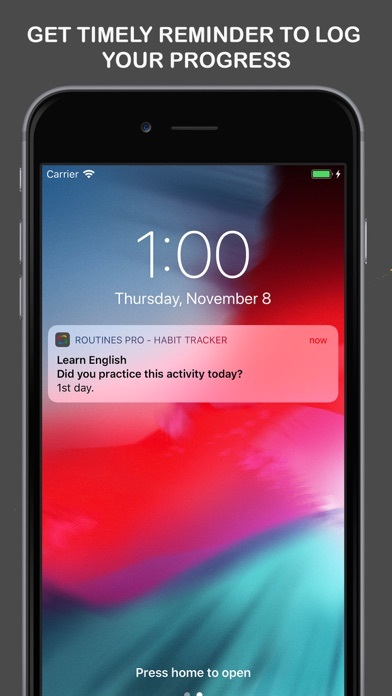 Focus on doing a little bit every day, log it into the app Routines Pro - Habit Tracker, and within a few months you’ll start to see great results. 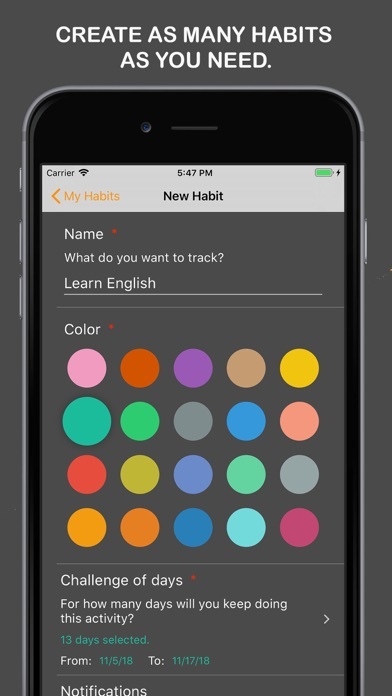 Routines Pro - Habit Tracker Features: • Create as many habits as you need. • You can track your daily, weekly, monthly activity all the time. • Commit to your habits by start a new challenge. 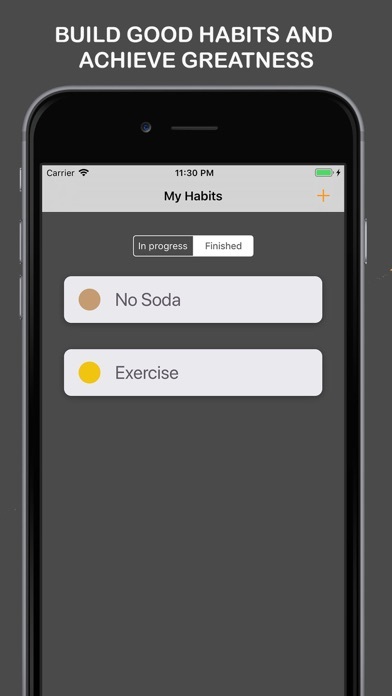 • See and manage all your habits and goals • Schedule your daily routine and use reminders to make your todo thinks and habits done on time. 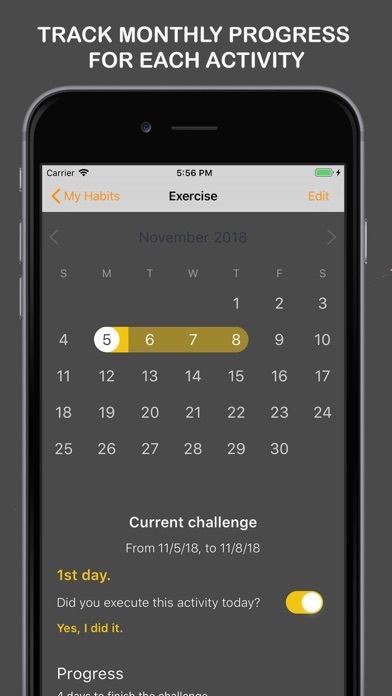 • Track the progress of each one of your habits and challenges. • Most beautiful and simple habit planner and tracker. Good luck with all your goals & habits.! Thanks for using Routines Pro - Habit Tracker.